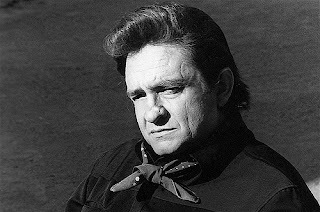 Jared Unzipped: 14 New Tarantula Species... And Johnny Cash, Too! The tree of life just got a little bit bigger. Thanks to a decade-long investigation into American tarantulas, we now know of fourteen new, distinct species of spiders. Evolutionary biologist Chris Hamilton, along with colleagues Brent Hendrixson and Jason Bond, spent over ten years researching the various tarantulas inhabiting the central, south-western and Pacific coast region of the United States. After processing nearly two thousand specimens, they were able to identify fourteen distinct new species. At the same time, the team pinpointed various species that were in fact not unique at all, largely due to a sparse and inadequate record of previous specimen analysis. The work Hamilton and his team put into researching the American tarantula is considered groundbreaking. What was once a highly misunderstood creature now has a bit more clarity. 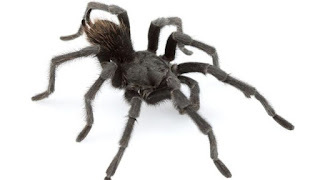 Of note, one of the new tarantulas the team discovered is from northern California. The males of this particular species are clad in all black fur. Ironically, they also roam the hills surrounding Folsom State Prison. Can you guess the new spider's name? That's right, there's now a tarantula named after the legendary Johnny Cash. Seems fitting, considering the all black 'Johnny Cash Tarantula' lives around the actual inmate facility that helped lift Cash to super-stardom.